Get the answer to your question from Coach John G. Agno. What we all want is interaction with others to clarify our thoughts before taking action and to allow our perceptions to evolve over time. Announcement: Learn "The 4 Best Elliott Waves to Trade -- and How to Trade Them"
Forex: "The Markets Are Getting Exciting!" In his Trader's Classroom and Commodity Junctures services, master instructor Jeffrey Kennedy often uses traditional technical indicators with the Wave Principle to add confidence to his analysis. He starts with his Elliott wave count, then looks at technical indicators such as RSI and MACD to "build a case" for his outlook. Watch this 5 minute video to see the process he goes through to identify high-confidence trade setups. This article was syndicated by Elliott Wave International and was originally published under the headline The Wave Principle + Technical Indicators = High-Confidence Trade Setups. EWI is the world's largest market forecasting firm. Its staff of full-time analysts led by Chartered Market Technician Robert Prechter provides 24-hour-a-day market analysis to institutional and private investors around the world. Have YOU Heard of the 30-Year Commodity Cycle? 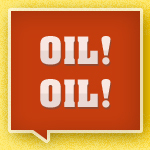 "The World is Awash in Oil"
...But does that mean that oil prices will only go down from here? In this new interview with Elliott Wave International's Chief Energy Analyst, Steve Craig, you'll learn where he sees prices going next. *Editor's note: this interview was recorded on August 12; the price low cited in the video was broken on August 13. These excerpts from Robert Prechter's Elliott Wave Theorist highlight the flaws in the conventional approach to forecasting oil prices -- and show you why oil fooled almost everyone. This article was syndicated by Elliott Wave International and was originally published under the headline (Interview) "The World is Awash in Oil". EWI is the world's largest market forecasting firm. Its staff of full-time analysts led by Chartered Market Technician Robert Prechter provides 24-hour-a-day market analysis to institutional and private investors around the world. When stuck, who do you call? However, your self-selecting choice matters. Choosing the wrong expert can waste time, money and put your organization on the wrong course of action. That is why knowing what kind of help you need and who is best able to supply that specific type of help is important. The water can be muddy when sorting out the roles advisors play today; especially, when many consultants, therapists, lawyers and mentors may also call themselves personal or business coaches. When you really need a professional coach, it would be a mistake to engage to some other professional. Personally, I am a recovering management consultant. At some point, it seemed to me that solutions for client problems seldom became a permanent fix due to leadership blind spots preventing seeing why the problem arose in the first place. So, I began doing more business and executive coaching by helping clients to fix their own problems and personally excel in their personal and professional lives. Yet, few potential clients seem to know what a business coach is and does---many continue to categorize me as a consultant. Conversely, management consultant firms are working to transform themselves into becoming more coach-like since personal and business coaching works well in situations where consulting may not. So, what's the difference between coaching and consulting? A consultant is brought into an organization because of his or her knowledge and experience to solve a specific business problem. The consultant proactively solves the problem and then disengages. Whereas a coach is brought in to guide the executive or business owner in solving their problem and then disengages. The difference is subtle but important. The coach assists the client to understand whatever is causing the problem so the client can solve the problem today and when or if it reoccurs. Whereas, the consultant knows or discovers what caused the problem, solves the problem and leaves without transferring this knowledge to the client. When the problem reoccurs, the client may simply call the consultant in again to resolve the problem, time-after-time. If you are willing to call or recall someone to fix problems as they occur, call a consultant. If you want to learn what is causing the problem and how best to fix it now and in the future, call a coach. The choice is yours. The "art" of marketing can be very mysterious to engineers, accountants, computer specialists, and other technically-oriented people. This is especially true when it comes to the commercialization of a new product or process or the startup of a technically-driven business venture. Many technically-oriented people think that the key to marketing success is to learn the secret marketing "formulas." They take all the marketing courses at their local business school. They read all the books on marketing. But it still doesn't happen. The "formulas" aren't there. In fact, they aren't anywhere. Marketing is much more an "art" than a science. It's simply a mistake to look for scientific formulas in a field of "art." Successful commercialization combines the "science" of formulating a winning physical product/process with the "art" of marketing strategy and implementation. In a way, this combination of product science and marketing art emulates the craftsmen of yesteryear who applied crude tools with a system of methods and principles into a skillful performance that could not be learned solely by study. In today's high-tech world, most technically-oriented product developers would be well advised to seek out a marketing artist to work with — rather than trying to become the all-in-one craftsman. The development of xerography is a good example of the combination of product science and marketing art. Chester Carlson, a physicist and patent attorney, obtained a patent on xerography and searched for a way to commercialize it. He happened to be an attorney for a client of Battelle (a research organization in Columbus, OH), and sent a copy of the patent to them for review. Battelle was interested. For 55% of the patent rights, Battelle agreed to invest in the technology, with Battelle research making three technical improvements. However, it was the little Haloid Company (a market-oriented 100-employee company in Rochester, NY) that figured out how to commercialize this expensive and very-service-intensive machine ($15,000 cost). As a result, in 1963 the Xerox 914 was born. Joe Wilson, Haloid Company's president, is given the credit for the marketing "art" that led to the success of xerography — Lease the Xerox 914 copier for only $100 a month, but pay an additional penny per copy made on the machine. It was Haloid's addition of marketing "art" to Battelle's solid product "science" that created a winning product. The marketing-oriented Haloid Company changed its name to Xerox Corporation, and the technically-oriented Battelle received $350 million of Xerox stock. Don't underestimate the need for marketing "art" in your own product or business development activities. Find a good marketing "artist" to work with — and do so as early as possible. Six ingredients to becoming an employer of choice. As a source of new, competent staff, employee referrals have no equal. There is no other source for candidates that generate the same ROI; in fact the 7% of candidates that come through referrals account for 40% of total hires. Stalking job candidates on LinkedIn is one of the least effective strategies. Most people believe that what is apparent is important, but employers of choice recognize that what is not apparent is most important. Here are the top six lessons learned by employers of choice about the important – but not always apparent – elements of the best places to work. What makes a company a great place to work? The short answer is: good managers. The manager sets the tone and translates broad corporate initiatives so they make sense to individual employees. He must understand the strengths of each employee and work to fit people into roles where they can excel. When employees know their boss cares about their opinions and helps them to understand and know themselves, their talents become recognized and applied so that each person brings his best to the workplace. When managers don’t spend the time to develop a relationship with each subordinate, people leave. Having a mediocre manager, who has no idea of what an employee does and doesn’t even try to understand, can be very destructive to a company. The quality of the boss/worker relationship is a major indicator of the employee’s intentions to remain at the company. That relationship improves when the manager becomes more like a coach, listening and then monitoring the proposed action of the person being coached. Most people have learned not to listen to what management says but to pay attention only to what is going on around them on a day-to-day basis. The true structure of the organization is not what is written down on an organizational chart, but what actually occurs as people connect through roles, influence and decision-making processes. The connection and coordination necessary to get things done happens because of productive personal relationships based upon trust and reciprocity. Sharing knowledge and adding value to the organization depends upon the capabilities of workers to informally connect with others. Understanding and facilitating these relationships, which flow through a web of professional networks and across functional boundaries, allows employees to create productive change. And since competition is a matter of relations, the company’s ability to structure and control the process of securing productive relationships will determine success in the marketplace. If you build your organization’s credibility, word-of-mouth will spread this reality, and new employees will come to you. Building a corporate reputation by focusing on serving customers, having high quality products/services, and attracting, developing and retaining talented people is critically important. Your company’s targeted audiences pay attention to the promises that your executives make and keep. Corporate words and actions have a dramatic impact on how companies are perceived by prospective employees. People are concerned how the positive or negative impact of the work environment will affect who they are and who they want to become. All behavior is sensitive to environmental cues. Employee capabilities tend to change positively in a good work environment. Because management shapes the work environment, it is management who decides whether to make the organization an employer of choice through continuously implementing small improvements. Is your company the best place for the best people to work? Senior executives in the “Most Admired Companies” (surveyed annually by the Hay Group [haygroup.com] for Fortune magazine [fortune.com]) believe in and use employee-based measurements to encourage cooperation and collaboration. And 40 percent of those companies chart retention, career development and other employee-oriented measurements. That’s more than triple the percentage of companies that didn’t make the list. Assessment tools help generate reliable feedback, identify critical behaviors for success, and provide direction for customized development planning. Diagnostic self-evaluation supports a key premise of social learning theory that feedback is a necessary component for learning new behaviors. Reorganizations, changing leadership and procedural changes happen almost weekly, and the ripple effects can turn a job once loved into a job now hated. It’s easy to be an outstanding performer when you’re doing work that interests you and fulfills your inner motivations. It’s tougher to perform well when there is a mismatch between you and your job. Employees and employers don’t always recognize the warning signs of impending job trouble. Clues usually show up before an actual blowup erupts, but workers are often slow to admit, even to themselves, when a problem is brewing. Perhaps, the qualities that first attracted the employee to the position no longer exist, or the employee has outgrown the assignment. The problem may even rest with the boss or the changed work environment. All employees have quitting moments when they entertain thoughts of leaving. Employees are more likely to leave because they want to do new things and take on more responsibility. Yet, employers frequently fail to create those challenges because they don’t know the employee’s capabilities. One of the best ways to guard against employee disconnect is to implement a process of providing and receiving feedback to and from the employee. Having an up-to-date individual development plan and access to nontechnical skills training also helps to keep the manager and employee on the same page. Probably the most important factors in keeping talented people is to create a way for employees to feel excited by the work and to know that they are learning valuable skills. The quality of the boss/subordinate relationship, supported by viable performance management systems, helps employees get through those times when someone comes along with a new job offer. Employers of choice know that ordinary people don’t change that much, yet the power of a positive corporate culture can help them achieve extraordinary success. Their employees know that hard work is part of the bargain of joining an employer of choice. But they also know they will not have to fight obstacles and insecurities alone because they will be surrounded with positive ideas and role models. Employees believe the company will treat them fairly, will consider their needs and interests, and will share financial success with them. These loyal employees attract like-minded job candidates by telling others within their personal networks. Employers of choice leverage this attraction by providing employee referral incentive programs to reward good employees for bringing other good people on board. How Can Small Businesses Sell More Products and Services? Q: Can you provide any information on what small businesses are doing today to sell more product or services? A: Too many businesses make the mistake of focusing on generating more sales to first-time buyers -- rather than working harder to build sales with the customers they already have. Making the first sale to a customer is very expensive. It takes a lot of advertising and promotion dollars--and a lot of time, energy and money chasing dead ends--to land a customer. Yet, subsequent sales to that customer are relatively inexpensive and very profitable. Cultivating broad and deep relationships with your existing customers allows you to focus your limited resources wisely -- building as great a share of their business as possible -- while your competition fights tooth and nail just to get their foot in the door. The Internet has become deeply embedded in our daily lives. Today, most American households have Internet access. A blended marketing approach for your business can maintain a high frequency of touches and provide enough content to keep customers engaged. Most customers choose to engage with you online because they are increasingly reliant on the Internet. Your company’s customized landing page provides a complete message but is slanted in favor of the topic most relevant to the arriving customer. The Internet has made it possible to reach out to an almost limitless market, at any time, and usually for little cost. Anecdotal evidence shows that websites using both search engine optimization of organic listings and paid searchstrategies increase conversion rates because traffic goes up dramatically with links in multiple positions. Users choose to click more frequently on an organic listing when they also see a sponsored listing. "The Role of Search in Consumer Buying," a study by comScore (sponsored by Google) found that 63 percent of search-related purchases occur in offline retail stores. The results also indicate that 25 percent of searchers purchased an item directly related to their search query—and of those buyers, just 37 percent completed their purchase online. There's also growing anecdotal evidence about the grassroots impact blogs can have on sales for companies, especially small businesses. Business owners are discovering the best way to keep customers happy and coming back is by directly communicating with them utilizing Weblogs or 'blogs' over the Internet. Blogs humanize the Internet and keep you in touch with what’s going on with customers. Blogging allows you to create an interactive customer conversation on subjects of mutual interest. People feel they can really have a conversation with someone who has a blog. Communicating well doesn't have to drain your energy and creativity by spending extended hours engaging in community and regional meetings, telephone conferences or exchanging many email messages. Using blogging technology can allow you to connect with both colleagues and customers across the country to tell them what you are working on without having to be present. Personally, I maintain four blogs to connect with present and future clients using a low-cost service provider. The Leadership Blog at www.coachingtip.com blogfocuses on leadership tips, the www.sobabyboomer.com blog delivers life tips to the Baby Boomer Generation, the www.CareerWomenCoaching.com blog provides tips for career women and the www.Ask-Know-Do.com blog provides answers to frequently asked questions. Focus on what is of interest your customers. Set up your blog so each post gets its own permanent URL/permalink and heading. Think of your blog as a database so your customers can search for content in past posts. Use striking images in your posts to gain favorable attention. Enable comments to interact with customers. Success is not an individual matter. At the top of this list is workplace relationships with co-workers and clients (43 percent). Rounding out the top three reasons is company culture/values (18 percent) and growth opportunities (17 percent). Korn Ferry research has identified several key dimensions of organizational culture and helps company leaders define, establish and enhance an ideal culture based on business objectives. “We measure dimensions of culture along continuums, such as task oriented to people oriented and short-term to long-term focus, and help clients find the right mix,” said Eaton. “The key to having a successful organizational culture is to be consistent and to actually live the culture in daily practice,” said Eaton. Nine out of ten HR professionals are dissatisfied with the amount of training and development their company’s managers and supervisors receive. They want to provide more opportunities to develop their organization’s leaders, but, according to a recent survey, the C-suite hasn’t bought in. A survey of over 240 HR professionals conducted by the Rapid Learning Institute found that the biggest obstacle to managerial training is an organization’s lack of commitment to employee development. 33% of respondents said that their organization doesn’t provide enough resources. 28% said that managers and supervisors don’t have the time to attend more training. Another 12% said training isn’t supported by the company’s leadership. Interestingly, 14% of HR professionals assumed some of the blame, saying that they and their colleagues don’t have the time to provide more training. For suggestions on how HR can become advocates for talent development, visit the HR Café blog post inspired by this survey. The survey’s responses suggest a widespread lack of commitment to developing current and future leaders. When an organization prioritizes training, they invest the required resources to make it happen and make it effective. They mandate training and establish consequences for when employees don’t participate. And they support employee development openly, from the C-suite on down. The survey’s findings align with other studies, illuminating a concerning trend. A recent survey by Deloitte showed that 85% of HR and business leaders believe that developing new leaders is an urgent or very important problem for their organization. If most companies continue to undertrain and under-develop their leaders, the negative repercussions for these organizations could be severe.